With The UK RumFest 2013 now behind us, the Whisky Exchange Vinopolis has a little something extra in the line-up for the end of October. Stefanie Holt, Global Brand Ambassador for El Dorado Rum, International Brand Ambassador of the Year 2012 and all-round globe-trotting wonder woman, will be there to take you through her range of luscious Guyanese rums. A great chance to warm your cockles as we head into the shivery embrace of English Winter! For this tasting, they’ll be kicking things off as you arrive with a refreshing Caribbean rum punch made with El Dorado 5yo. After that they’ll move on to taste the core range of 8yo, 12yo, 15yo and 21yo rums, before trying no less than 3 different El Dorado Single Barrel rums. These are incredibly rare and they only receive a few bottles each year here in the UK, so the obvious reaction is to open them for a tasting! They’re interesting because each of the Single Barrels come from a different still. The whole El Dorado range is made from different combinations of stills, including the world’s only wooden column and double wooden pot stills. You’ll be trying 3 that are part of the DNA for the 12yo – Enmore EHP, Port Mourant PM and Uitvlugt ICBU. This all may sound complicated, but don’t fret, Stef will of course be on hand to explain the unique processes that go into making El Dorado. The tasting will take place on Monday 21st October, 7:30pm. Returning for a fourth year, the Golden Rum Barrel Awards recognized exquisite, stand-out rums, as well as individuals, who have made a significant contribution to the rum industry over the last twelve months. 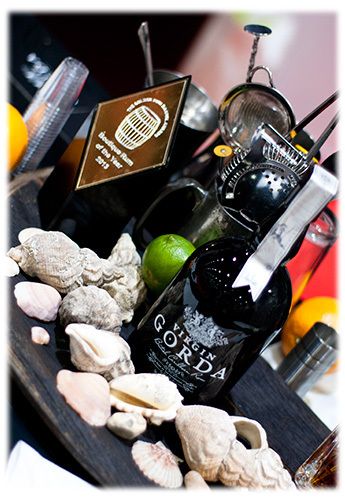 Winners were carefully selected by Global Rum Ambassador, Ian Burrell and a panel of experts with awards including ‘Best Blogger of the Year’, A Mountain of Crushed Ice and Destilerias Unidas S.A. (Venezuela) who picked up ‘Rum Distillery of the Year’ plus Virgin Gorda Rum receiving ‘Boutique Rum of The Year’. 2013’s Master Blender of the Year was picked up by the hugely talented Tito Cordero for both his depth of experience and for producing what is, arguably, the finest and most consistent rum with his Diplomático Reserva Exclusiva blend. The inaugural ‘The Rum Experience Hall Of Fame’, launched on Saturday as part of the UK RumFest, recognized those who have proved to be a phenomenal force within the industry. Master Blender Lorena Vásquez Ampié‘s dedication to the promotion of Guatemalan rums, particularly Ron Zacapa to a new and discerning rum clientele was recognized as the first in a number of inductees on the night. Passionate about the art of crafting premium rum, Lorena is driven by her quest for perfection and is one of a small number of female master blenders in the world. Jose Sanchez Gavito has been a master blender for over 36 years and has been pushing the boundaries for new rum throughout his career. After retiring, from making rum in Mexico for Bacardi, Jose then joined the Bacardi Global team to create a new wave of “retro rums” such as the Bacardi ‘Heritage edition’, which has broken new ground and re-introduced Bacardi rum to the cocktail & mixology world. Laurie Barnard, Chairman of St. Lucia Distillers, was seen by many as one of the greatest rum makers of his generation. A man with great dreams and ambition for Caribbean rum to be seen as the great spirit, worldwide. He was committed to quality control, as well as diversity in the production and distribution of his rum. Sadly Mr Barnard passed away in October 2012 but his legacy lives on through his rums like Chairman’s Reserve and Elements 8. Laurie’s award was received on his behalf by London Boxer David “The Hayemaker” Haye. Master Distiller Richard Seale was awarded for constantly proving that “Rum innovation is rum tradition waiting to happen”. Richard Seale is a rum trend setter. A 3rd generation rum maker, he was definitely “born to make rum”. Francisco Don Pancho Fernandez is a pioneering Master Blender and for over 50 years, Cuban born Don Pancho has been involved in making great Spanish styled rum. During the 1970’s as director of the Cuban Beverage Industry, Don Pancho helped in the renovation process of the rum industry in Cuba, introducing modern technology, renovating the cask inventories and modernizing the plants and distilleries. He also helped to improve fermentation, production and blending techniques that set the standard worldwide enabling him to travel the world and interact with different spirit industries such as Whisky in Scotland and Vodka in Poland. These multicultural exchanges developed his experience and skill and made Don Pancho the quintessential Master Blender he is today, with a unique and personal touch. Rums like Zafra 21, Ron Abuelo and of course Ron de Jeremy rum has kept Don at the top of his game. Returning for a fourth year, the Golden Rum Barrel Awards recognises exquisite, stand-out rums and individuals who have made a significant contribution to the rum industry over the last year. Winners will be carefully selected by Global Rum Ambassador, Ian Burrell and a panel of experts, with a special RumRatings Award for Best Rum at UK RumFest voted for by the public at the RumRatings website. The awards form part of UK RumFest’s intimate after party, where the public and trade professionals can keep the rum flowing with Havana Club and Don Q serving up delicious cocktails, mouth-watering canapés will be offered for all helping to soak up the rum fuelled day and music played out at the stunning five star May Fair Hotel, within the heart of London. 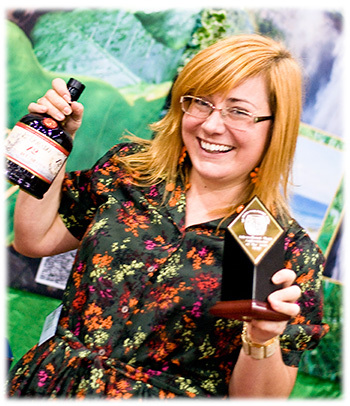 Returning to the UK’s capital this October, the world famous UK RumFest takes place on Saturday 12 and Sunday 13 October 2013 taking each visitor on a voyage of rum discovery at London’s ExCeL Exhibition Centre. The seventh annual UK RumFest showcases over 400 of the rarest and most exquisite rums from across the globe, as well as cocktail demonstrations, intimate seminars and masterclasses hosted by industry aficionados. The delectable Tropical Food Market will feature mouthwatering food from all over the world, plus live music and main stage presentations creating an incredible two days of rum infused fun. This year UK RumFest presents for the first time the Connoisseur’s Cove area giving the discerning drinker the opportunity to delve further into rum’s rich culture and sip, savour and discover some of the rarest rums on the market. Limited tickets are available with standard tickets priced at £25 plus booking fee or the Connoisseur’s Cove tickets priced at £45 plus booking fee, all available with more information from the UK RumFest website.